Arsenal manager Arsene Wenger has reportedly identified Atletico Madrid goalkeeper Jan Oblak as a potential replacement for Petr Cech in the summer. The Gunners are expected to bring in defensive recruits at the end of the campaign, but the shot-stopper position is also under consideration. According to Evening Standard, the Gunners have set their sights on a potential move for Oblak, who is seen as the perfect player to replace Cech as the club’s number one. The Slovenia international joined Atletico Madrid from Benfica shortly after Thibaut Courtois’ return to Chelsea, and he has since transformed into one of Europe’s leading goalkeepers. 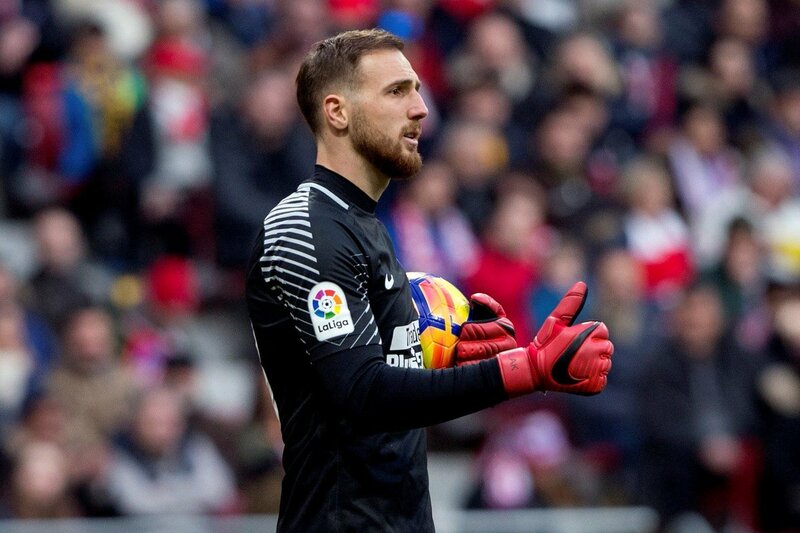 Despite the interest, the Gunners are expected to have a tough time negotiating with their La Liga counterparts with Oblak presently contracted to the club until 2021. The former Benfica man also has an £88m, and this could prove a huge stumbling block for a club of Arsenal’s calibre, who remain reluctant to spend over proportions in the transfer market. Cech, now 35, was expected to help Arsenal close the gap on their Premier League rivals, but the veteran’s career appears to be on the downslide with his kicking ability at the least after gifting goals to Cesc Fabregas and Jordan Ayew with mistimed passes over the past 18 months. Oblak has built up his reputation by keeping regular clean sheets during the course of his three-and-a-half year spell with Atleti, but his potential move to the Emirates may not guarantee success with the defence still in need of sorting out. Laurent Koscielny has been an excellent servant for Arsenal over the past seven years, but even his performances have been error-prone this campaign with the 3-1 defeat to Manchester United being one of the highlights of his evident downslide. The likes of Jonny Evans and Kostas Manolas have been associated with moves over the past year, and it will be interesting to see how the club will deal with their proceedings in the summer, where there is the major distraction of a World Cup to contend.